March 28, 2016 – The Cassini spacecraft has observed geysers erupting on Saturn’s moon Enceladus since 2005, but the process that drives and sustains these eruptions has remained a mystery. 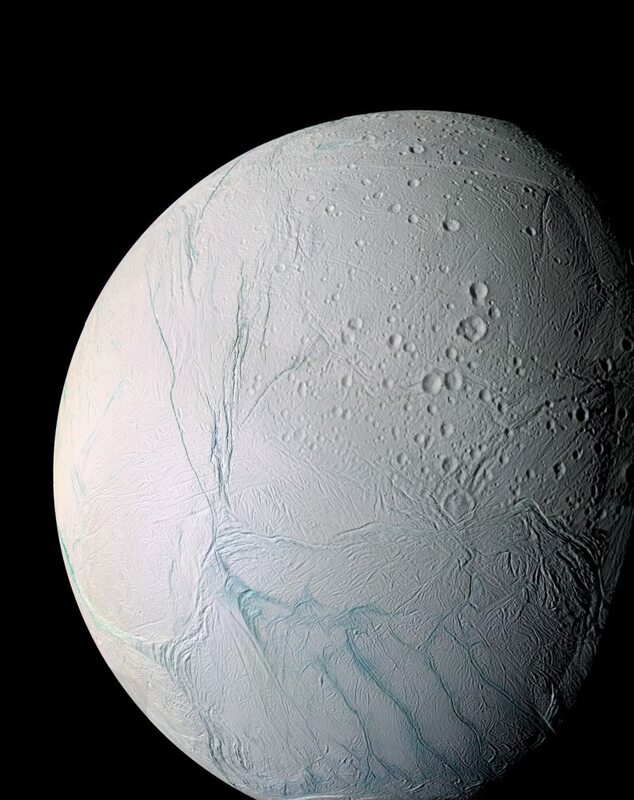 Now scientists at the University of Chicago and Princeton University have pinpointed a mechanism by which cyclical tidal stresses exerted by Saturn can drive Enceladus’ long-lived eruptions. 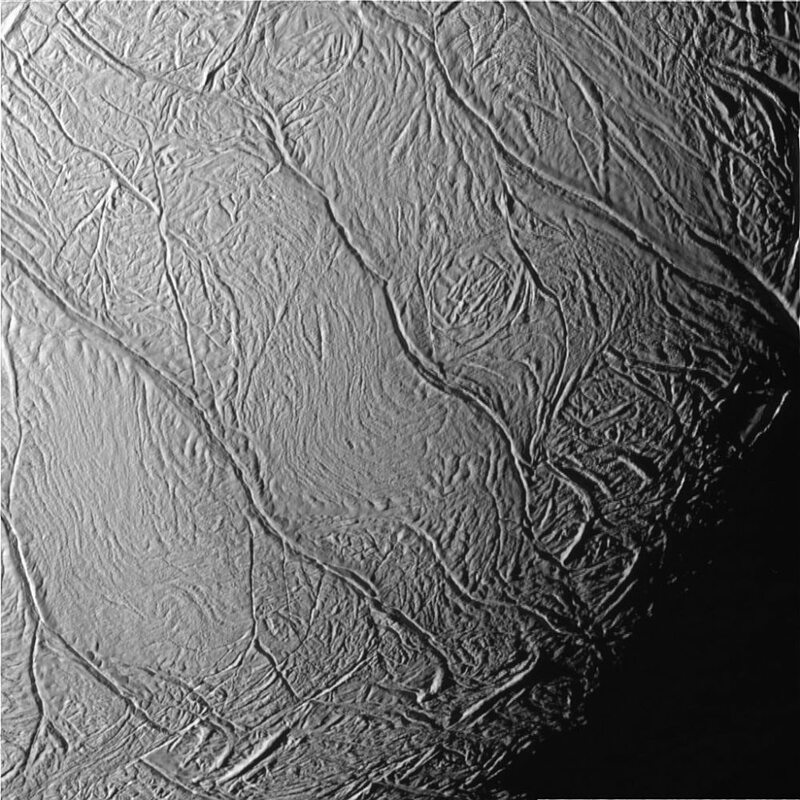 One of the problems that attracted Kite and Rubin was the anomalous tidal response of the Enceladus eruptions. The eruptions reach their peak approximately five hours later than expected—even when taking into account the 40 minutes needed for the erupted particles to reach the altitude at which Cassini can detect them. Scientists had previously suggested reasons for the lag, which included a delay in the eruptions as well as a squishy, slowly responding ice shell. “The only tricky part quantitatively is calculating the elastic interactions between the different slots and the varying water level within each slot as a response to the tidal stress,” Kite explained. The width of the slots affects how quickly they can respond to the tidal forces. With wide slots, the eruptions respond quickly to tidal forcing. With narrow slots, the eruptions occur eight hours after the tidal forces reach their peak.